The state of Rajasthan in India attracts not only tourists but also an increasing number of business travelers. But even if you’re visiting Rajasthan strictly for business purposes, be sure to take advantage of all there is to see and do while you’re there. The majestic splendors of the state’s palaces and forts make it one of the most visited tourist destinations in the world. 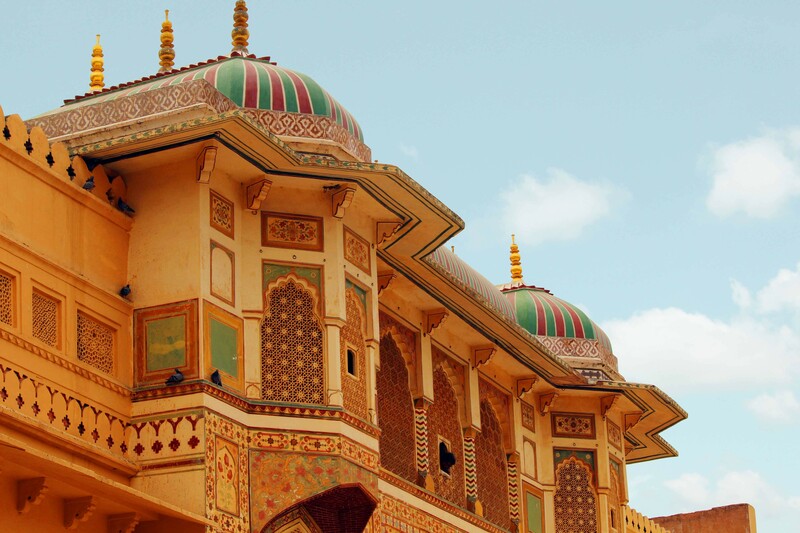 If your company’s business happens to take you there, be sure to take time to visit its colorful cities, including white Udaipur, pink Jaipur, and blue Jodhpur. And don’t miss its many beautiful lakes and lofty mountains. To get more ideas, go to eRajasthanTourism.net. There you’ll find tips as well as alluring tour packages at greatly discounted prices. There are plenty of options for traveling to Rajasthan. It is well connected by road and air. The international airport at Jaipur has regular flights from multiple domestic and international destinations. Rail is another popular means of travel. That’s because a vast network of local and express trains fan out across the state. Moreover, Rajasthan has an excellent road transport facility as well. Summers in Rajasthan can be sweltering. For this reason, the best time to enjoy the state and its attractions is during winter, when the temperatures are pleasant for sightseeing and other activities. One can also enjoy Rajasthan during the monsoons because the temperatures drop then. In short, the months between October and March are the most comfortable times of the year. Transportation within Rajasthan comes in the form of cycle rickshaws, taxi, metro, and buses. Buses run between the major cities and make special trips to the major attractions. In addition, one can rent out a vehicle or hire a taxi to explore the state. You can also book significant transfers from the airport or the station to reach your destination. If you wish, you can also fly from one city to another within the state. That’s because Rajasthan has airports at various cities. For instance, Jodhpur, Jaipur, Kota, Jaisalmer, Ajmer, and Udaipur all have local airports. When it comes to lodging, Rajasthan has almost endless options, whatever your budget. For example, business travelers can take advantage of popular business hotels. To name a few, there are the Trident in Jaipur, Shahpura House, Golden Tulip Jaipur, Hilton Jaipur, Ramada Jaipur, and many more. During those times when you’re free from meetings and seminars, be sure to visit as many of the following attractions as you can. Above all, take some time to unwind and relax while you’re in Rajasthan. Moreover, keep in mind that it doesn’t matter which city you visit in Rajasthan. That’s because wherever you go, there is plenty to see and explore here. Jaipur is a particularly popular tourist attraction. That’s because of its palaces, forts, and temples. Major attractions there include Jantar Mantar, Nahargarh Fort, Amer Fort, Hawa Mahal, and the City Palace. In Jodhpur, explore Mehrangarh Fort and marvel at the massive walls that encircle it. Also, visit Jaswant Thada, the elegant Umaid Bhavan Palace, and Mandore Gardens. Visit Udaipur, home to the City Palace, Rajasthan’s largest palace. Additionally, the Garden Palace is there as well, as is the Lake Palace at the banks of Lake Pichola. Also, you can explore the 15th-century fort of Kumbhalgarh as well as many other attractions. Enjoy majestic views from Mount Abu. Major attractions there include Dilwara Jain Temples near Mount Abu and the Nakki Lake. In the city of Bikaner you’ll discover epic forts such as Junagarh. Additionally, you’ll enjoy the stunning architecture of Lallgarh, as well as several other amazing places to visit in Bikaner. See the sights in Jaisalmer, Rajasthan’s golden city, famous for its majestic forts, ancient havelis, and grand palaces. Further, enjoy a breathtaking view of the Thar desert with its high sand dunes. Chittorgarh, too, is loaded with attractions. For example, explore Chittorgarh Fort, the Kirti Stambh, Rani Padmini’s Palace, the Vijay Stambh, and more. Finally, Ajmer is a well-known center for Muslim pilgrimages. What’s more, be sure to visit Adhai Din Ka Jhonpra, Akbari Fort, Ajmer Sharif Dargah, and Taragarh Fort, an excellent example of Muslim architecture. The exotic state of Rajasthan is famous for its tourist-friendly destinations and its traditional bazaars and colorful street markets. Explore these markets and shop for jewelry, handicrafts, miniature paintings, leather goods, traditional Rajasthani artifacts, and footwear. But even when you’re visiting Rajasthan strictly for business, do enjoy tasting the local delicacies and authentic Rajasthani cuisines. For example, try the traditional Rajasthani thali as well as other delicious dishes. And don’t go home without tasting, for instance, Dal Bati Churma, Mohan Thaal, Laal Maas, Mawa Kachori, Mirchi Bada, Mohan Maas, Pyaaz Ki Kachori, Gatte, Kadhi, and more.